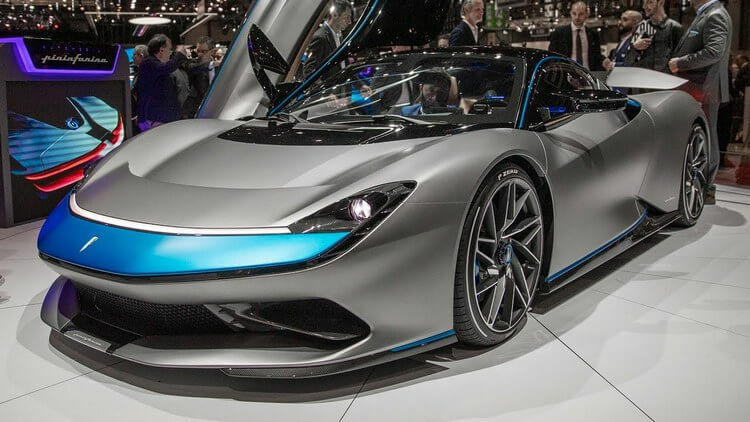 From a famous automobile design company, Pininfarina now officially jumps into the automobile manufacturing business with their latest foundation of Automobili Pininfarina GmbH. 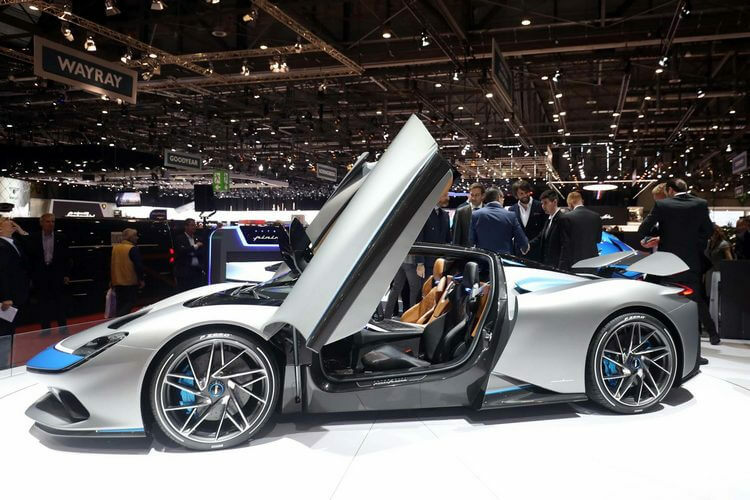 And just at Geneva Motor Show 2019, the company has revealed their very first creation, as well as the very first “luxury hyper EV” in the market: Pininfarina Battista. So with no further ado, let’s have a Pininfarina Battista first look! The name “Pininfarina” is definitely a well-known name among automobile community by now. It all began with the man himself – Battista “Pinin” Farina – who founded the company “Carrozzeria Pinin Farina”. As time passed by, the company’s reputation grew as a professional automobile designer for many fantastic cars, including those from Alfa Romeo, Fiat, and Lancia. And of course, we cannot forget their partnership with Ferrari, which brought out some of the best designs in the world like Ferrari 250GT Berlinetta Lusso, Ferrari 365 GTB/4, and Ferrari Testarossa. No doubt, the company has reaped tons incredible achievements throughout their history in terms of designing. 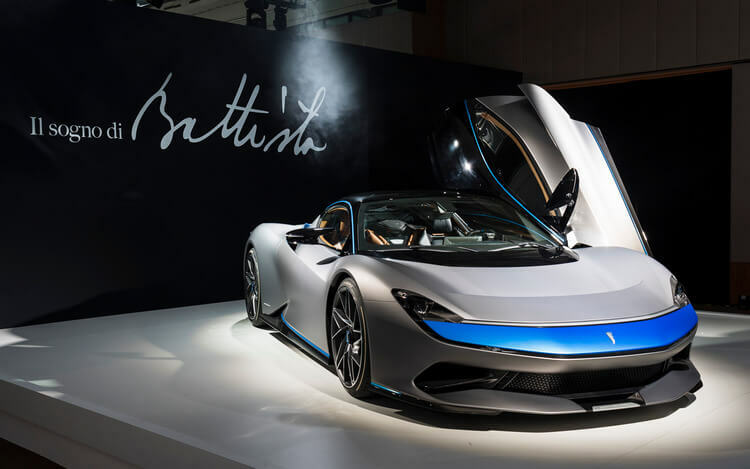 But with the foundation of Automobili Pininfarina GmbH, the company is officially a new competitor in this automobile manufacturing market, hence the reveal of their very first work: Pininfarina Battista. 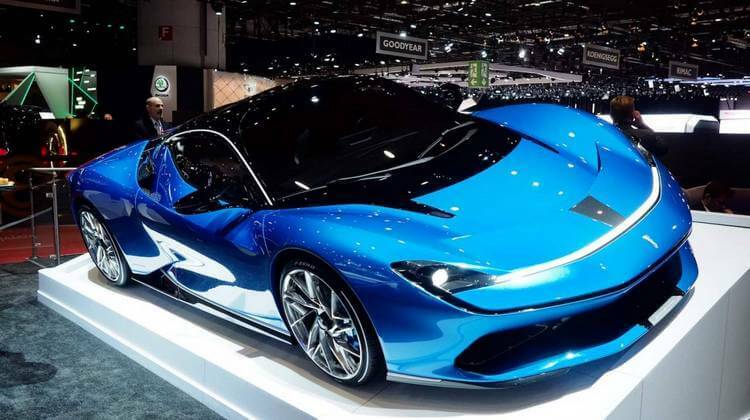 Just like the man Battista “Pinin” Farina who started the company we’ve known and loved, this new Pininfarina creation signifies the coming of Pininfarina’s own brand of automobile. 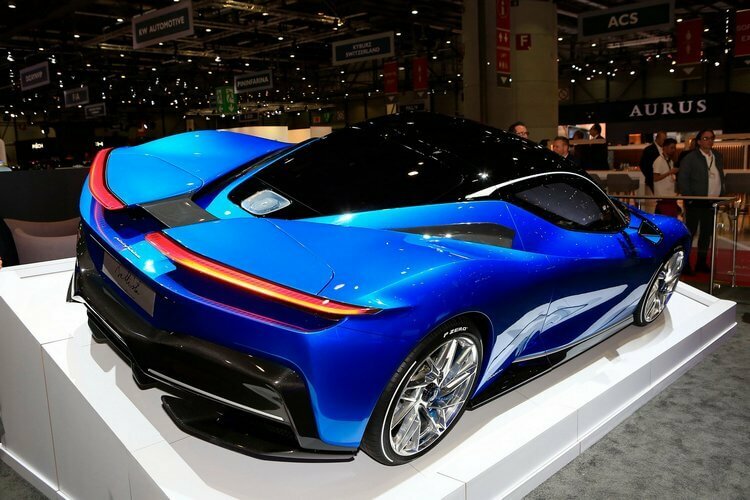 Interesting enough, this very first Pininfarina car does not run with the usual gasoline fuel, in fact, this is a hyper EV, which means it is 100% fueled by electricity. But before we go into the performance details, let’s talk about the Battista’s design first. Exterior-wise, the Battista’s design looks extremely smooth, clean, and elegant. The car uses carbon-fibre monocoque to keep the weight as low as possible, with the batteries setup in T shape. The whole electric system is in co-development with Rimac and it is informed to be quite heavy. As the result, the Battista has its four motors situated to each wheel for weight distribution balance. Since this car features monstrous powertrain of 1,900 horsepower and 1,696 lb-ft of torques, surely Pininfarina will have to pay much attention to the aerodynamics. As the result, we can see lots of attentions to details aerodynamics throughout this car’s exterior. Starting from the front, we can see a large opening above the front splitter to let the cooling air in. Even near the headlights, we can see small vents for air flow. Coming to the sides, here we can see the side vents, which lead the air flows all the way to the rear and goes right through under the taillights. And at the rear, we can see an active rear wing which matches perfectly to the flat rear deck when it folds down. It also plays the role as air brake when it rises up vertically. Next, down below there is active rear diffuser which can lower down to keep the car low down to the rear. And since this is an EV, there is no exhaust pipe. So those are about exterior and interior design, but what about the performance then? Of course, at this point Pininfarina has not revealed all the information about that yet. But at the very least, we can expect some insane stuffs from this luxury hyper EV. 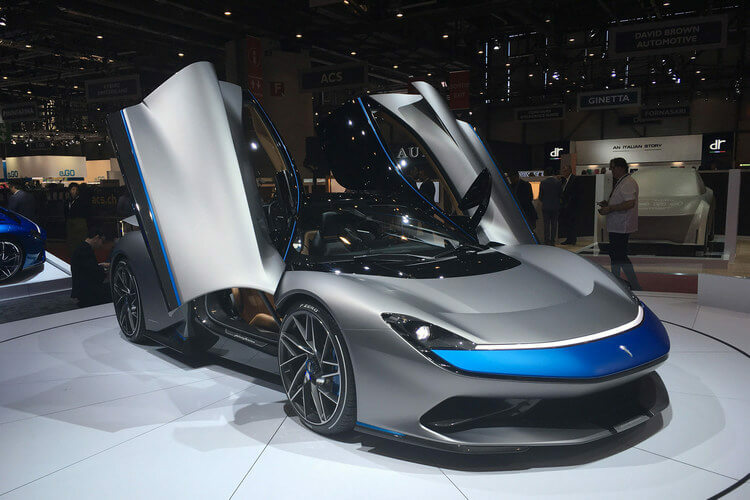 As mentioned, the Battista can produce 1,900 horsepower and 1,696 lb-ft of torques, which are already absurd. Not only that, it is said to be capable of hitting 62mph in less than 2 seconds! 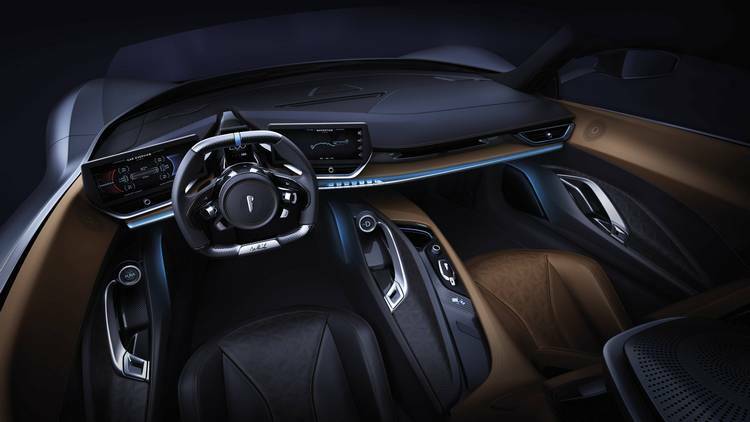 Overall, Pininfarina Battista already looks like masterpiece. It looks authentic, elegant, and not only that, it does have promising performance. And for those who haven’t been informed, only 150 Battistas will be built in total and each one can cost between $2 million to $3 million. 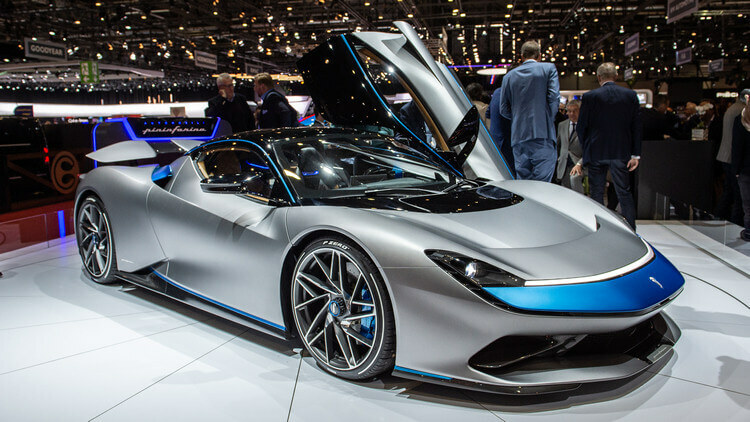 So what do you think about Pininfarina Battista? Feel free to share with us and for now, thank you and stay tune for more news in the future!